Taking on the role of the kind-hearted type character in Final Fantasy Type-0 HD, Deuce represents the number 2 in Class Zero. She’s also a very righteous girl who does not hesitate in executing class missions. At first glance, Deuce may not seem like much. 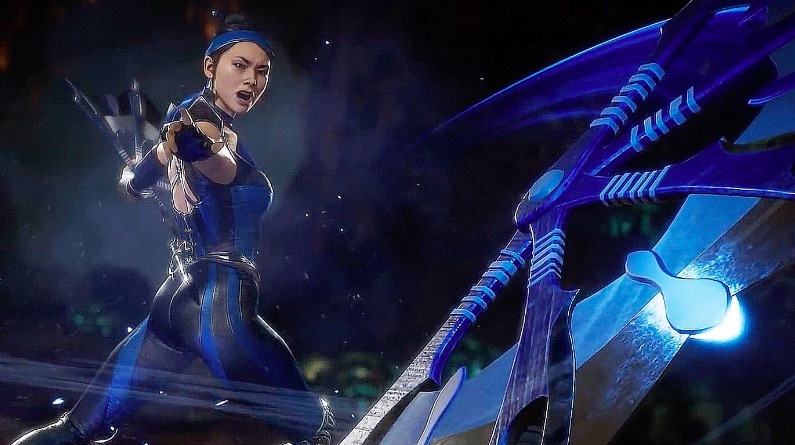 However, if you take your time getting used to her unique playing style and experiment with her various abilities, you may find yourself hooked on playing as this gifted support character. Playing as Deuce can be pretty rough when you’re just starting out within the game. Her choice of weapon is a flute, and her HP and defense stats are incredibly low. Right off the bat, it’s pretty clear that Deuce isn’t meant to be played as a damage dealer. Her true strength lies in falling behind her comrades and supporting them from the back. For her defense spells, I’d suggest slapping on Wall or Cure. As you’ll probably spend most of your time playing the flute to buff up your characters, you’ll want Deuce standing behind a veil of protection. Cure will be necessary in her early levels, but redundant once you’ve purchased her healing ability. To improve her chances of survival in a fight, Accelerate and Slipstream should help in having her dodge enemy attacks if the need arises. But for the most part, Deuce should be kept away from combat as much as possible. The first ability you have access to is Concerto, which enhances your allies’ abilities and forces them to fight. Concerto can also be upgraded where allies will only fight using physical attacks. Unfortunately, this isn’t a very good starting skill as you’ll soon start facing magical foes, thus rendering Concerto sort of useless. The abilities that you should be working towards getting are Hymn of Healing and Dissonant Sonata. As the name suggests, Hymn of Healing restores HP to all allies at the expense of her AG. Grabbing the Flinchproof and HP Up upgrades for Hymn of Healing will transform Deuce into a really effective healer. Dissonant Sonata is a fairly competent offensive ability that has Deuce damage surrounding enemies and possibly inflicting Stun, so she won’t be completely defenseless in a fight. Requiem of Ruin is another ability that allows her to deal damage to surrounding enemies but honestly, Dissonant Sonata is much more effective. You should also upgrade her melee attacks because you’ll burn through her AG pretty quickly by using her abilities and the only way to recover AG is by landing regular hits on enemies. The thing to note about her offensive abilities is that they’re fairly slow and not very efficient in taking down enemies. You probably won’t be trying to hit Kill Sights and Break Sights with Deuce, but it’s always safer to have an offensive ability on her during the early levels so that she won’t go down so quickly. A good setup for early users is to fill her command slots with Hymn of Healing and either Requiem of Ruin or Dissonant Sonata, and set Wall as her defensive spell. An ability that you should definitely purchase for Deuce is Crescendo. Think of this as a more effective version of Concerto. Instead of forcing your allies to fight only using physical attacks, Crescendo boosts the attack stats of your allies. This, coupled with Hymn of Healing, is probably her most useful support ability as it greatly increases your squad’s damage output. Upgrading Crescendo will only further amplify that effect. With Deuce, it’s important to keep her HP high at all times and make sure she’s always a safe distance away from enemies.